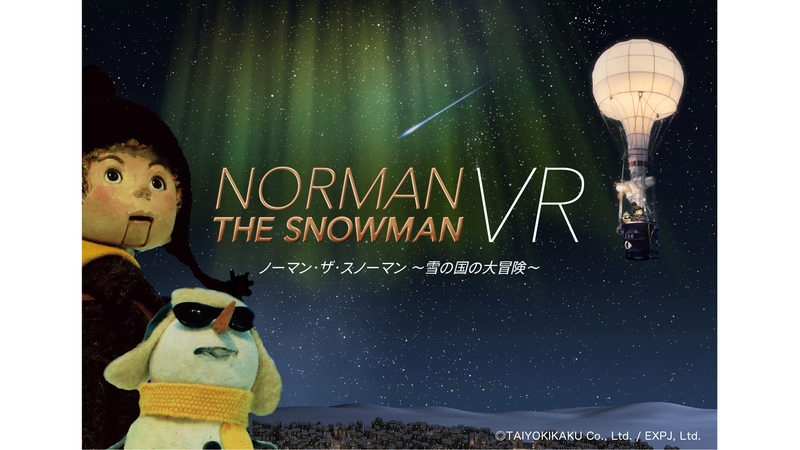 The TAIYOKIKAKU R&D production, Norman the Snowman VR, is coming to PLANETARIA TOKYO! Meet Norman and the Boy under a starry sky in this adorable and beautiful VR experience! Norman the Snowman—the stop-motion animation shown in over 50 planetariums across Japan—has come to VR! The meticulously crafted puppets and sets were 3D scanned to create CG images with a warm, hand-made feel, allowing you to step into the one-and-only world of Norman the Snowman! You will spot cute animals in the woods, fly a hot air balloon to seek out constellations, and have all sorts of fun that can only be experienced in VR! Witness the analog and digital come together in this one of a kind VR production! !